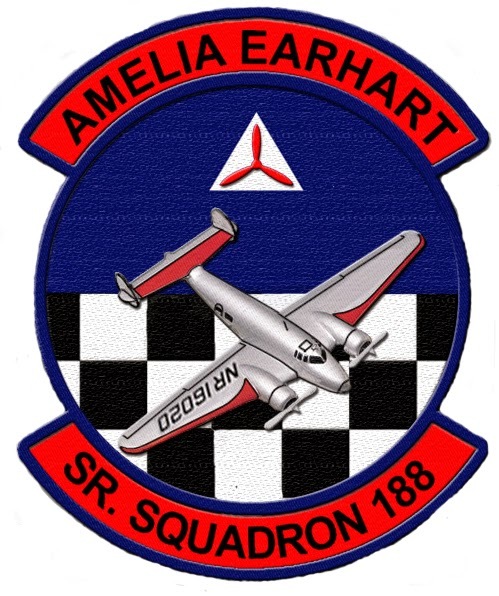 Squadron 188 was started by Maj Paul Groff back in the year 1988. Prior to starting the Senior Squadron, he was with Cadet Squadron 18, which was at the time also located at the Oakland Airport North Field. Both squadrons operated out of the same building, where now all the car rental companies are located. Time went by and the squadron grew. 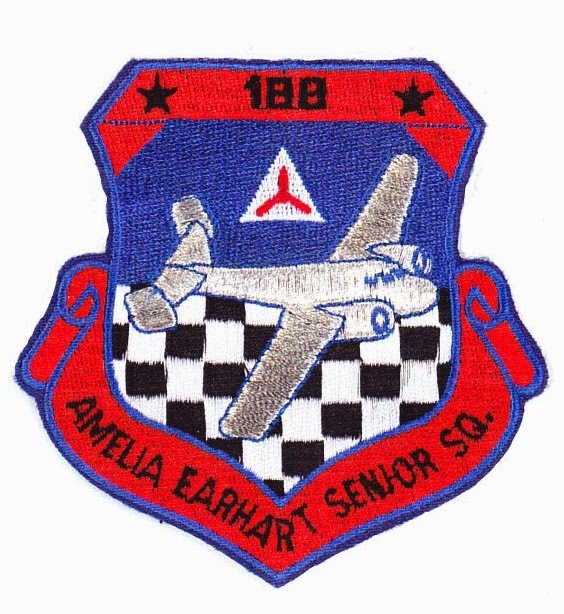 Some time in late 1991 Maj Groff challenged the cadets of Squadron 18 to design a patch for the Senior Squadron. The original chosen drawing was handmade. Where it went is history, and the writer never found it, even though he saw it when it was presented to the squadron for approval. The name of the cadet that designed the patch has also been lost. However, a picture of the first edition of the embroidered patch is here for your viewing. 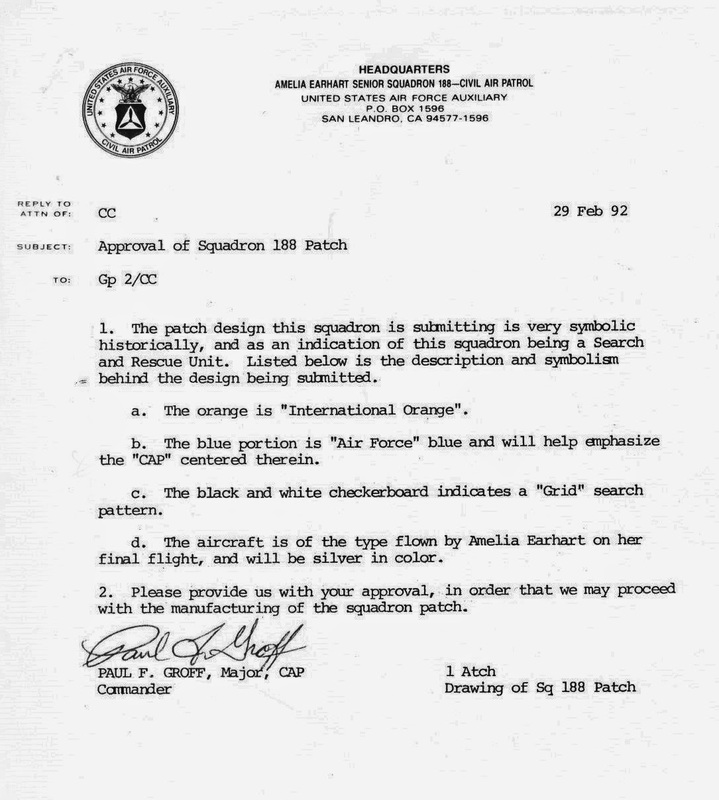 Also enclosed is the letter dated 29 Feb 1992 from Maj Groff requesting the approval of the patch by the Group 2 Commander. 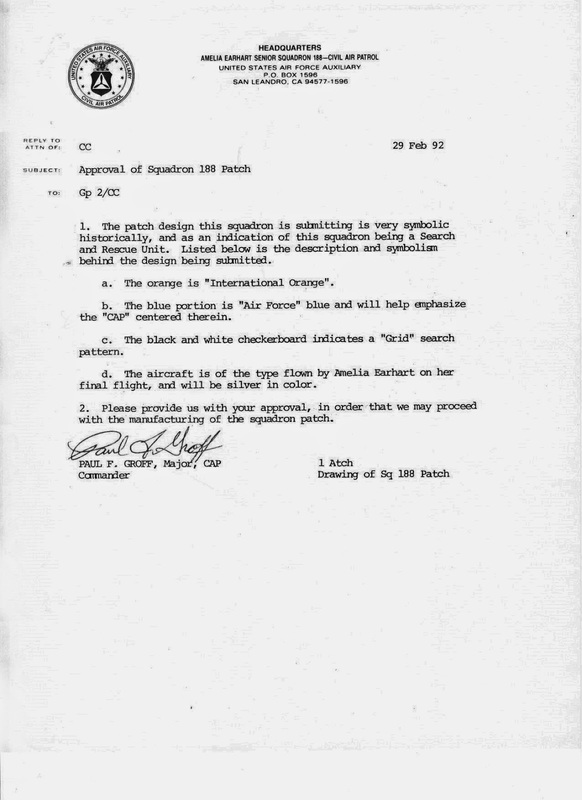 The letter requesting the approval explains the symbolism behind the design of the patch. In 2010 the Squadron ran out of the original patches. With the electronic era in full swing, then Capt Noel Luneau electronically updated the patch's design. 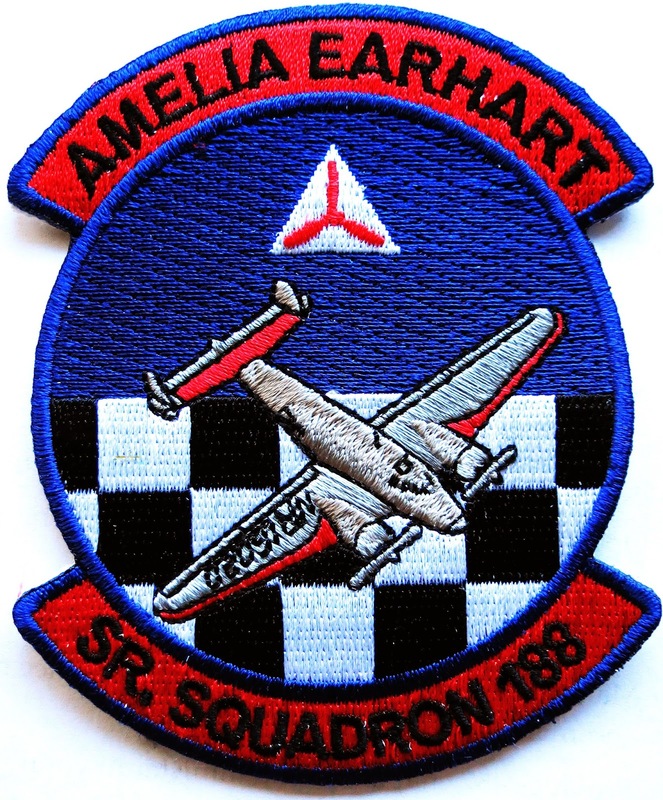 At the writer’s request, he changed the shape to conform to the regulations for a squadron patch. current ones. So, the details are significantly improved. Both the drawing and a photograph of the current patch are included for your comparison. The squadron has patches available for sale to any non-CAP individual for $10.00 each. You can contact the writer, if interested – or please leave a comment in this blog. Of course, CAP members get a discount. The current and old versions of the patch are scattered around the nation in some CAP displays and private patch collections. This is great Lt. Col. Tinnirello, thank you! !